For quite some some my inspiration to make cards was gone. I had a long list of cards I had to make (four birthday cards), but didn’t feel like starting on any of them. A few weeks ago a friend of mine asked for a birthday card. Even though my inspiration was gone, I said yes. I really wanted to help her out. And I thought that maybe I could retrive some of the inspiration I once had so much of. Luckily I did. This is how my livingroom table looks like from time to time. I’m in the middle of making a card there. 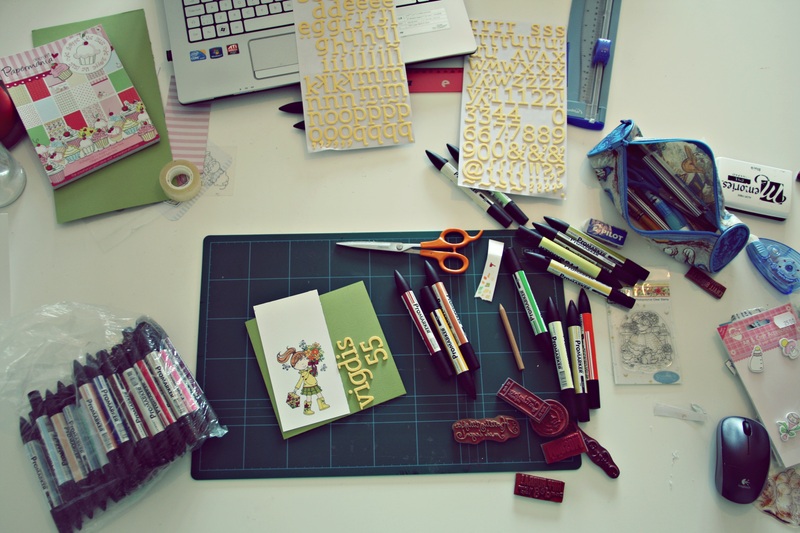 Various things I use for making the cards are scattered around the table. What you see here is only a tiny bit of all the stuff I got. 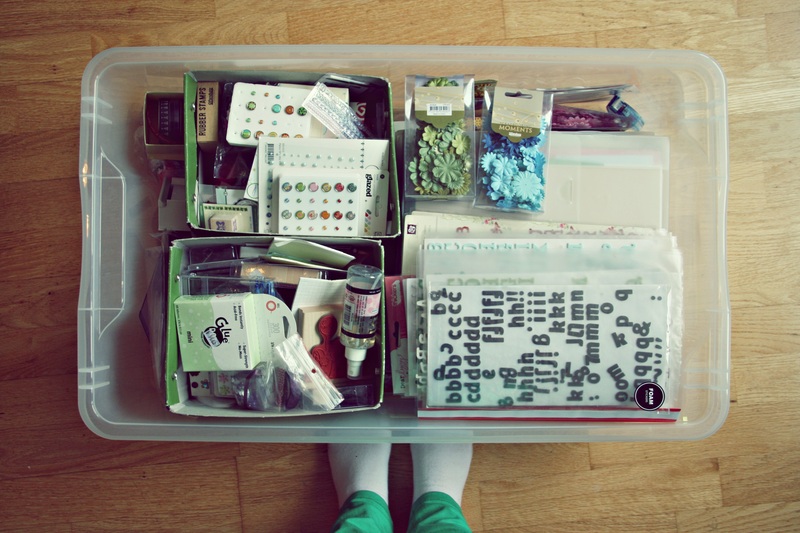 Here is the box with most of my tools, papers, paperflowers, pins, foam letters, glue, rubber stamps,ink etc etc. It may seem a lot, but you need a lot when you have a hobby like this. You can’t just have a few things, because it will limit you in how to make the card. As you see other cards, you get inspired and realise you need to have even more things. It’s very hard being modest when it comes to purchase things. 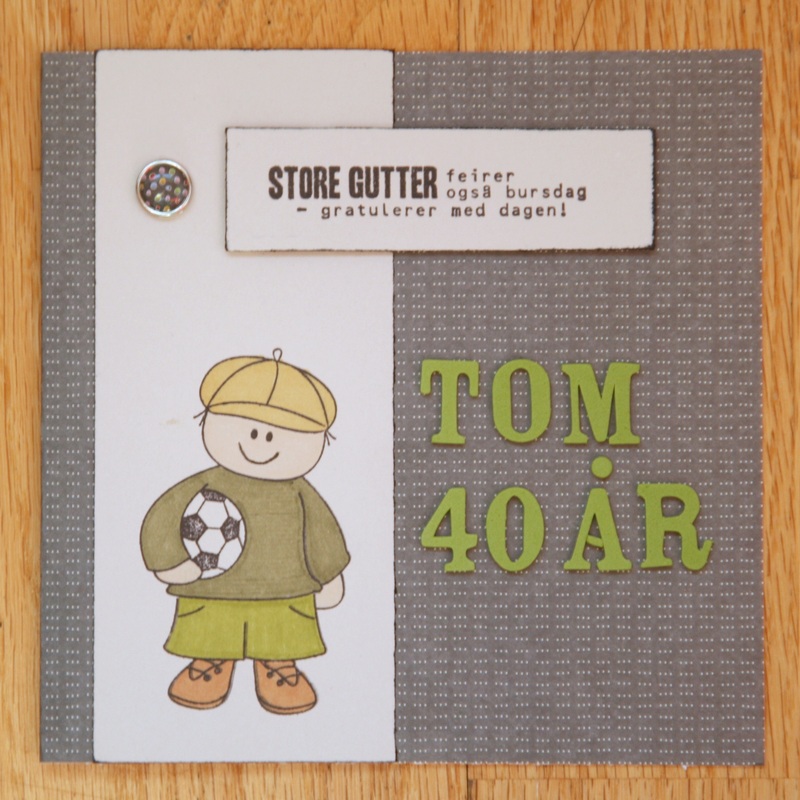 Birthday card for a friend. It says ‘big boys also celebrate their birthday – happy birthday’. 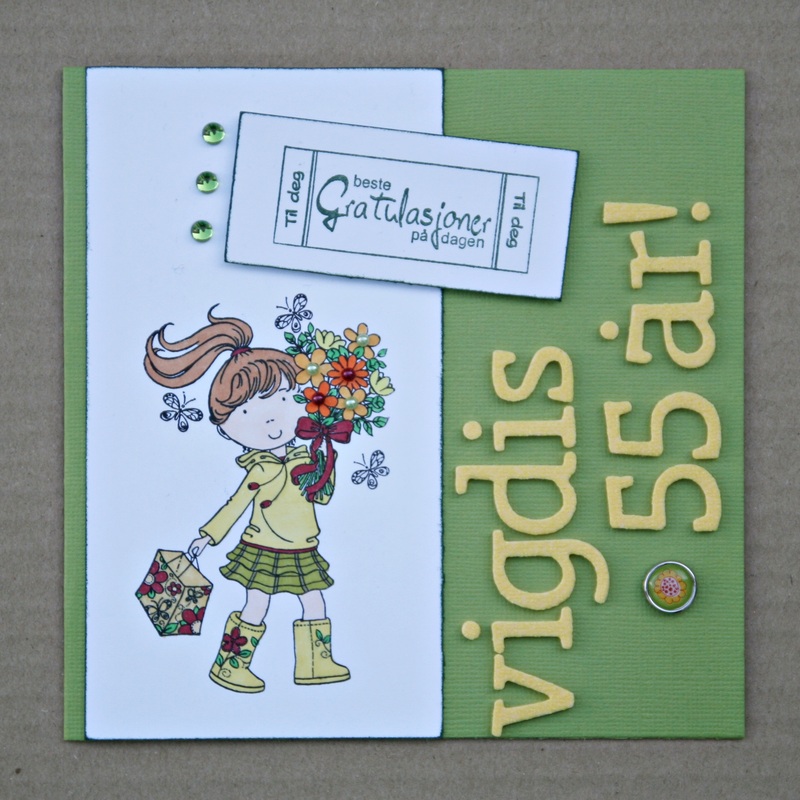 Another card with the same rubber stamps, but made totally different. I like this card better. This card I made for mum. She’s giving it to a friend, who is the mum of a friend of mine. Vigdis likes flowes a lot and spends quite some time in the garden. So a green card it had to be. 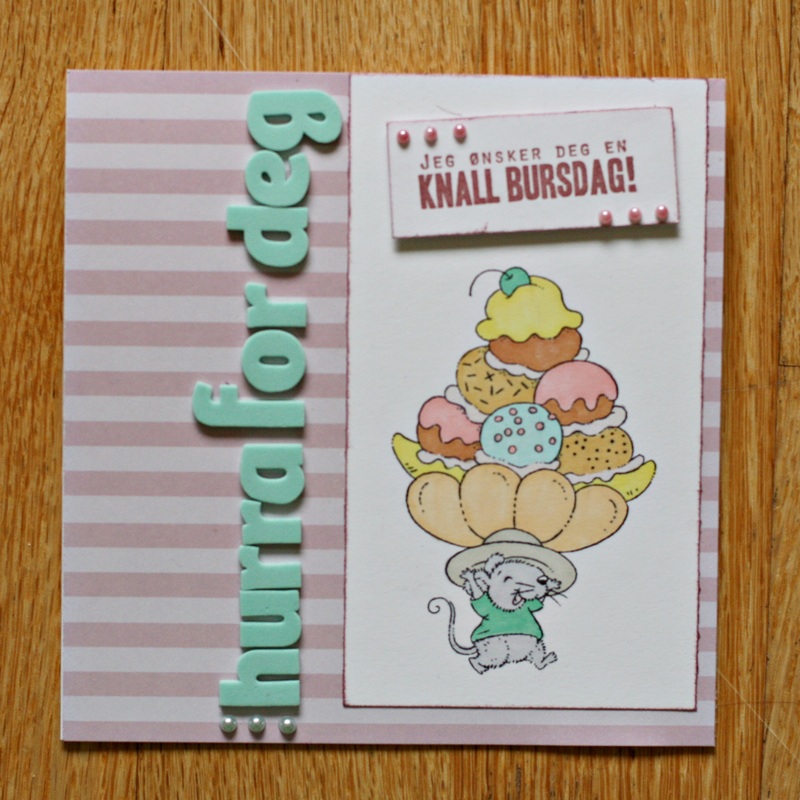 Pastel card. Made to a friend. That mouse is so cute! Its happy face makes me smile. Now I’m going to contine make some more cards. Got two birthday cards I need to make. And I need to finish up a ‘best-friends’ card I’m giving a friend of mine. I’m very excited to dig into all those different kinds of pattern paper, rubber stamps, foam letters and make fabulouse cards.